To help you celebrate and share the beauty of the natural world with your nearest and dearest this holiday season, we offer our Holiday Gift Guide 2017 with unique gift ideas they’ll love and enjoy all year long. Beatrix Potter’s Gardening Life, which chronicles the influence of gardens on the celebrated author of the classic Peter Rabbit tales. 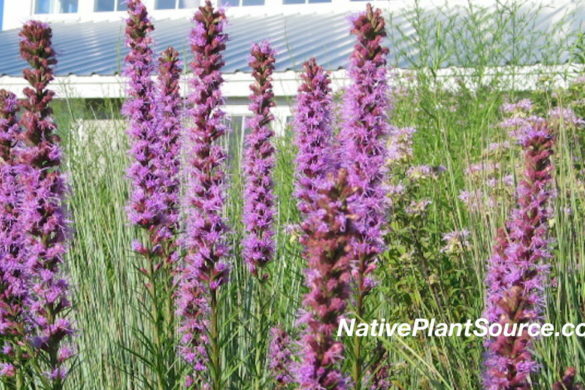 Doug Tallamy’s updated edition of Bringing Nature Home: How You Can Sustain Wildlife with Native Plants is packed with practical recommendations for turning your patch of earth into a haven for biodiversity. Planting in a Post-Wild World, by Thomas Rainer and Claudia West, complements Doug Tallamy’s book, with a focus on garden design and planting techniques for resilient, beautiful and diverse landscapes. And Henry David Thoreau: A Life, by Laura Dassow Walls, draws on Thoreau’s expansive writings to provide fresh insight into the passionate naturalist’s complexity and contributions. Pair it with Thoreau’s Wildflowers or Thoreau’s Animals for a gift to delight anyone who loves spending time in nature. Tree lovers will also enjoy Peter Wohlleben’s The Hidden Life of Trees and his brand-new release The Inner Life of Animals. We could go on (and on!) – or you can check out all our book picks here. Bird houses, bird feeders and insect houses add interest and important wildlife habitat to any garden. Gardeners will also appreciate this cool hands-free wearable weeding/harvesting bag called the Gardener’s Hollow Leg. There’s no reason to leave nature’s wonders behind when you walk in the front door. Celebrate bees with pretty and functional La Rochere glassware: choose from a charming bee pitcher and matching tumblers and coffee mugs. Or if you love dragonflies, check out La Rochere’s dragonfly goblets and pair with these tea towels or a whimsical camp mug. 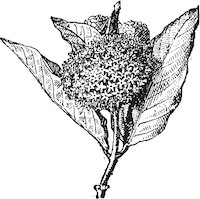 Also for the kitchen, we love the beautiful botanical designs of Michel Design Works Chef Aprons. After you wrap yourself in one of these colourful cotton numbers, you can wrap your lunch or any leftovers with eco-friendly, reusable Bee’s Wrap, a natural alternative to plastic wrap. 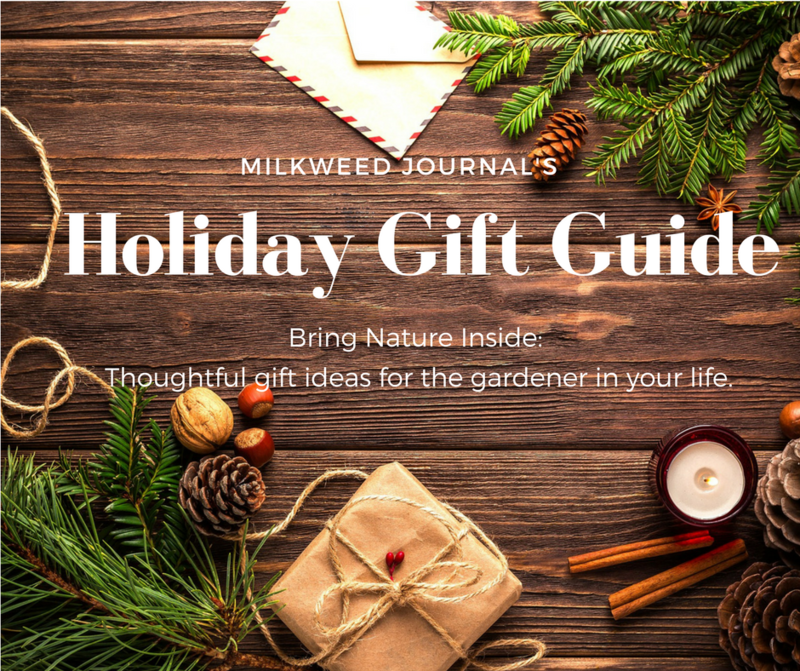 See more ideas in our Milkweed Marketplace 2017 Holiday Gift Guide.